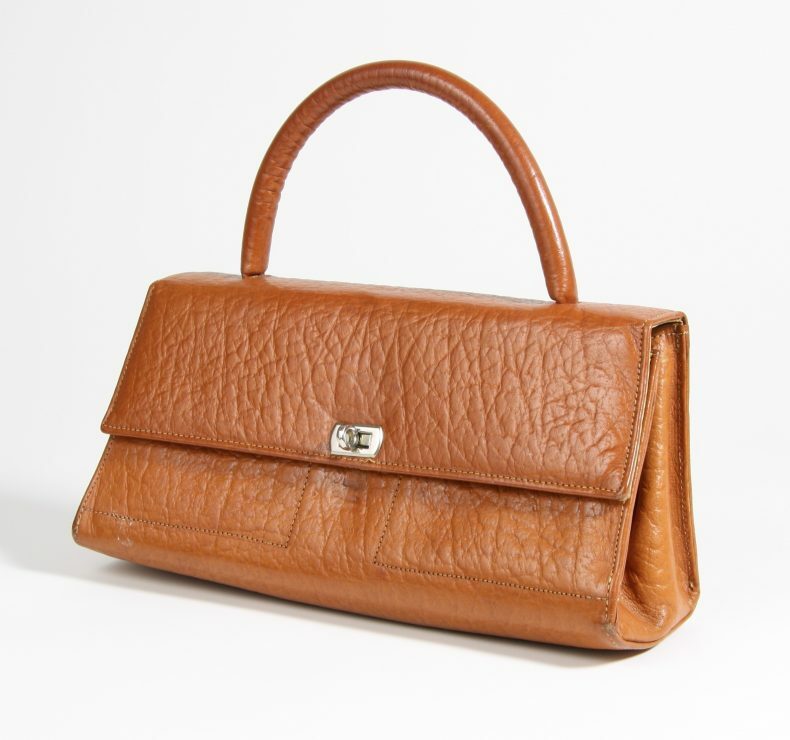 History curator Kirstie Ross looks back 50 years to July 1967 when the contents of New Zealanders’ pockets and purses changed radically after the country shifted from pounds, shillings, and pence – to dollars and cents. In 1963, the government decided that the country would decimalise its currency. 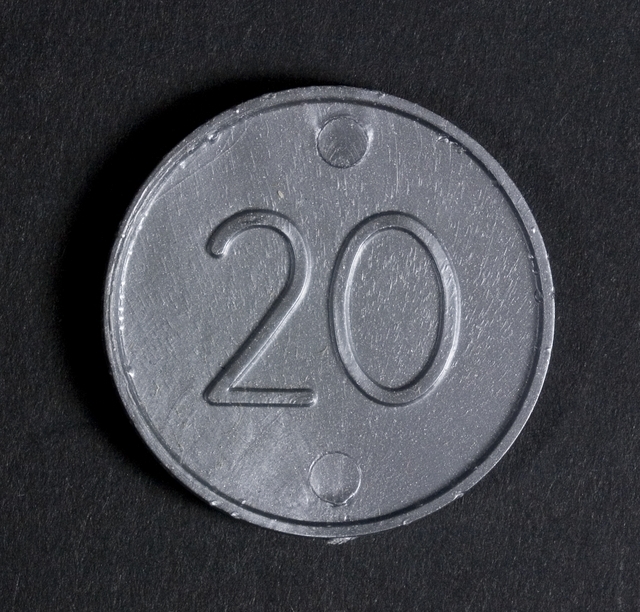 Wellingtonian James Berry designed the decimal coins while a design committee worked closely with staff at Thomas De La Rue, the printers in London, to produce the note designs. Home grown names mooted for the new currency, including the ‘Zeal’ and ‘Kiwi’, didn’t gel with Finance Minister Rob Muldoon (below), so we ended up with the ‘dollar’. 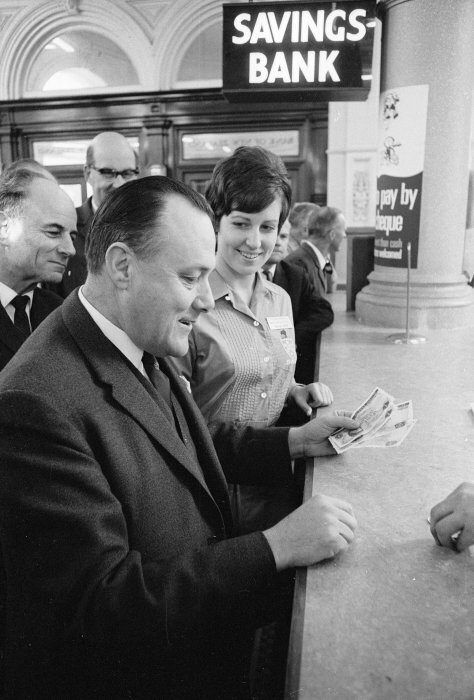 On 10 July 1967, New Zealanders made the switch, as 27 million new notes and 165 million new coins were released into circulation. Conservatives thought that making the change to the new system would be too complicated or that retailers could take advantage of confused consumers adjusting to the new money. A Decimal Currency Board was set up to help with the transition. 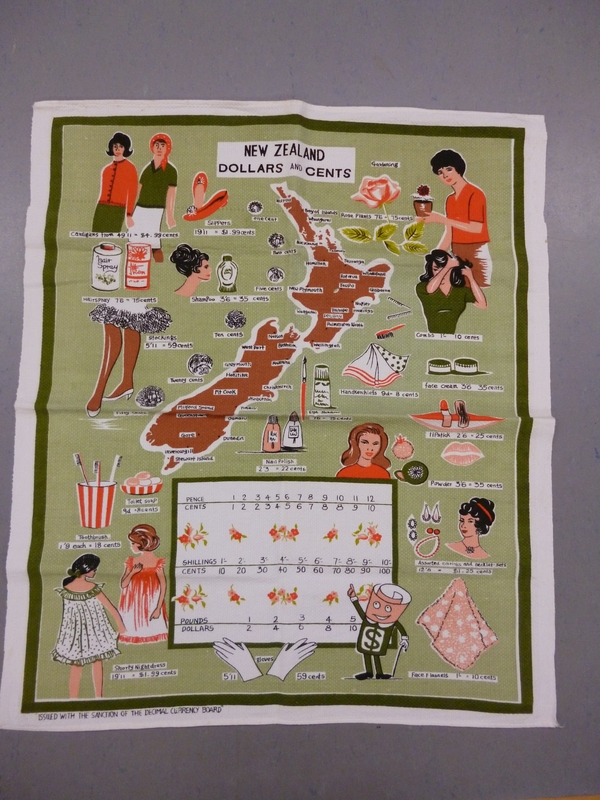 This tea towel (below), endorsed by the Board, helped housewives to convert the cost of products they were most interested in (cardigans, hairspray, and gloves…) while they dried the dishes. You can see the mascot of the decimalisation process, ‘Mr Dollar’, standing next to a currency conversion chart on the tea towel. He also appeared on television advertisements, which you can view on NZ On Screen. Coming to grips with decimal currency was fun and educational if you played the ‘Jolly Dollar Game’. This game (below) was sold or given away by Self Help, a national chain of co-operative groceries. 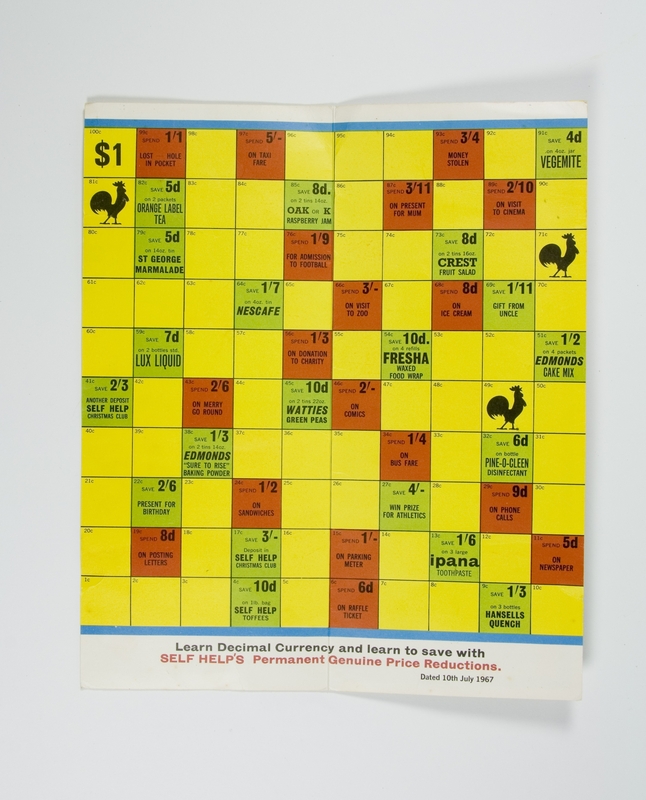 The object of the game was to ‘save one dollar (100 cents) just as Mum is able to save when shopping at Self Help’. Players could ‘learn decimal currency and learn to save’ but to win they had to be able to convert their spending and savings into decimal amounts. Before the big change over, those who handled cash could get used to it by using with plastic practice coins and plain paper notes (designs for the notes were kept top secret to stop counterfeiters). 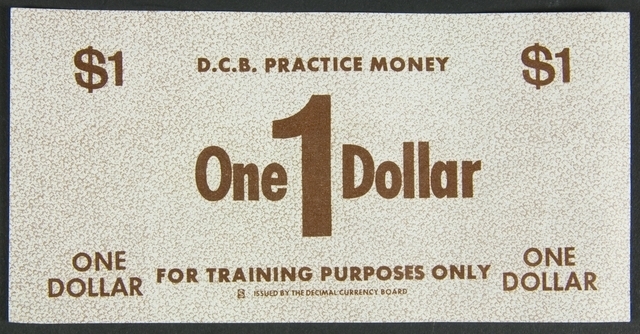 This pretend money (examples below) was provided by the Decimal Currency Board – but ‘for training purposes only’. Today, we think nothing of paying with ‘plastic’ – by which we mean with a credit and debit card. But who remembers the ritual of getting their ‘pay packet’, a small brown envelope with cash enclosed, once a week? Money – and what it buys – starts to seem unreal and abstract if you stop handling it on a regular basis. How does the dissociation of hard cash from earning and purchasing affect rates and patterns of consumption? With automatic payments, EFTPOS, and online banking the norm, and ‘crypto-currencies’ such as the Bitcoin gaining recognition and some respectability, how long will it be before we are ‘post-cash’? I wouldn’t like to bet on the answer – unless you take cheques. 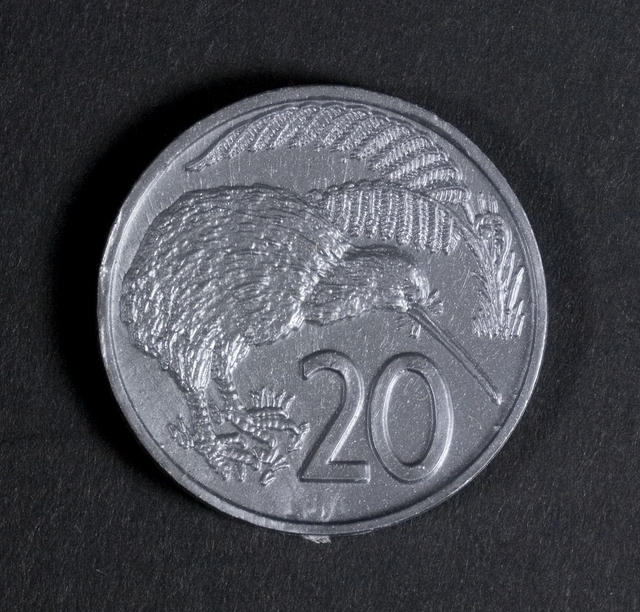 Visit the Reserve Bank Museum online or in person to find to find out more about New Zealand’s money and economy. I remember the currency change over well as I was 16 years old at the time. Thanks for posting these wonderful images to enable this ex-pat to experience some Kiwi nostalgia this afternoon in Halifax, Nova Scotia. Hi Bruce – thank you for reading the blog. Glad you liked the objects! Once the shock of the change was over, it must have been a relief to have a simpler, more rational basis for the national currency. Whenever I’m researching pre-1967 topics I always have to stop thinking in units of ten – which is very counter-intuitive. And I can never remember how much a guinea was worth…!